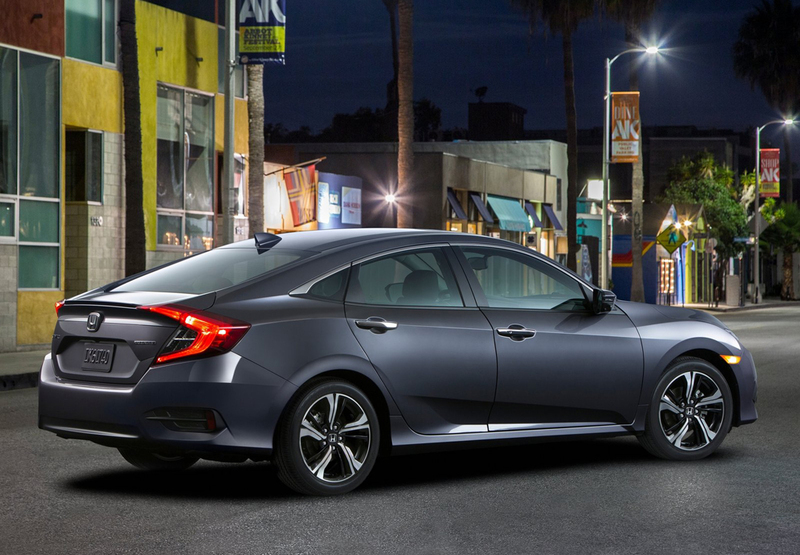 Honda officially launched, their versatile and contemporary styled 10th generation Civic Sedan, that is set for sale in fall 2015. More importantly, this particular model is the first in a series that will feature a coupe, sedan and high-performance Si models along with a five-door hatchback. 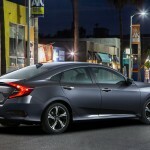 Aside from this new Civic`s unique and sporty design, the new power and efficiency of this car will be backed by two all new engines including the individual application of Honda Turbo Engine Technology. The fuel-efficient engine of Civic Sedan LX and EX Trims will be powered by a 2.0 liter, 16 valve DOHC i-VTEC 4-Cylinder-which is regarded as one of the most powerful base engines to deployed on a Civic Model. The engines are mated to either a continuously variable automatic transmission or a 6-speed manual transmission. 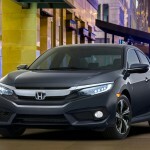 While Civic Sedan in EX-T, EX-L trims are powered by a 1.5-liter, direct injection and turbo powered 16-valve engine. The sporty new design makes this sedan more stable on the road, and the car is 2 inches wider and 1 inch lower with a 1.2-inch longer wheelbase and chiseled hood and fastback style tail. 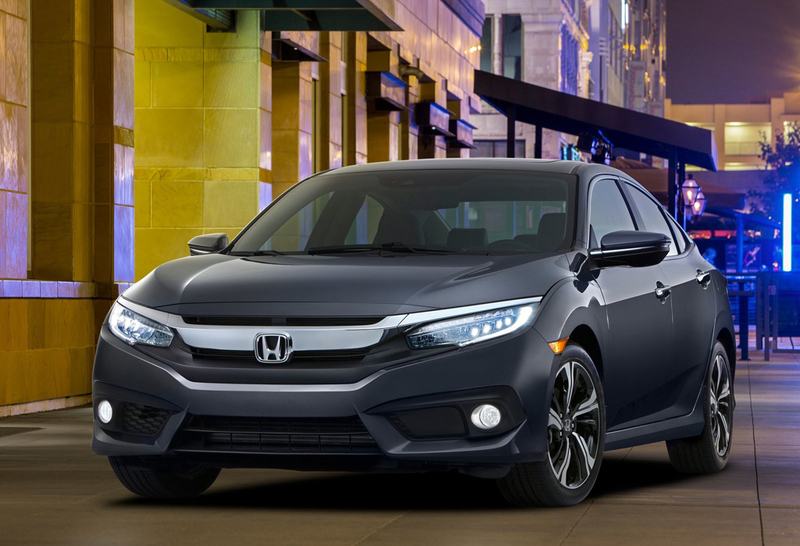 One main highlight the sporty demeanor of this all-new Civic is the more sporty driving position with a slightly lower hip point that is enabled by the new Civics lower floor and engine along with the new suspension. Additionally, the Chassis on the model features a redesigned base front suspension and new multi-link back suspension that integrates to an ultra sturdy rear subframe. Honda manufactures further shake things up by designing the car to offer ideal comfort and premium handling in the compact car class. Additional 3.7 cubic feet of interior space and 2 inches of added rear seat legroom easily qualifies the cabin and legroom on this unit as a larger version as when compared to the outgoing model.